Our customers are right-sizing residential and retail spaces. We are behind them, combining our expertise in lightweight steel framing with a commitment to fostering ground-breaking agile construction movements. We provide easy-to-assemble, precision-engineered frame kits for tiny houses, mobile brands, kit homes, disaster relief efforts and "housing first" initiatives. We manufacture engineered lightweight steel frames for tiny homes, small homes, accessory dwelling units (ADU), and modular communities. We work with individuals, builders, developers and community organizers, all with a common goal: rightsizing the future of housing and innovative commerce. The tiny home movement is challenging and evolving conventional house building. Movement and modularity. Barn-raising collectives. Our lightweight engineered frames respond to the needs of modular and tiny home builders, resellers and owner-occupiers. 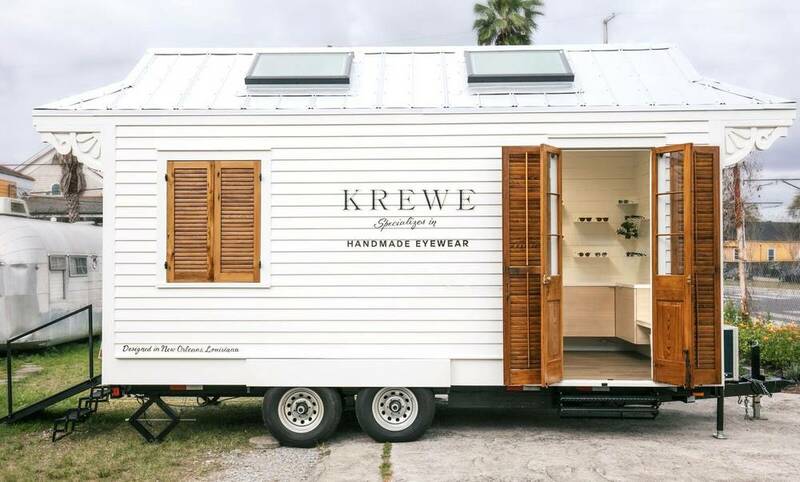 We produce frame kits for mobile shops and food trailers, so you can take that show on the road. You want structure and style and now you may have it. 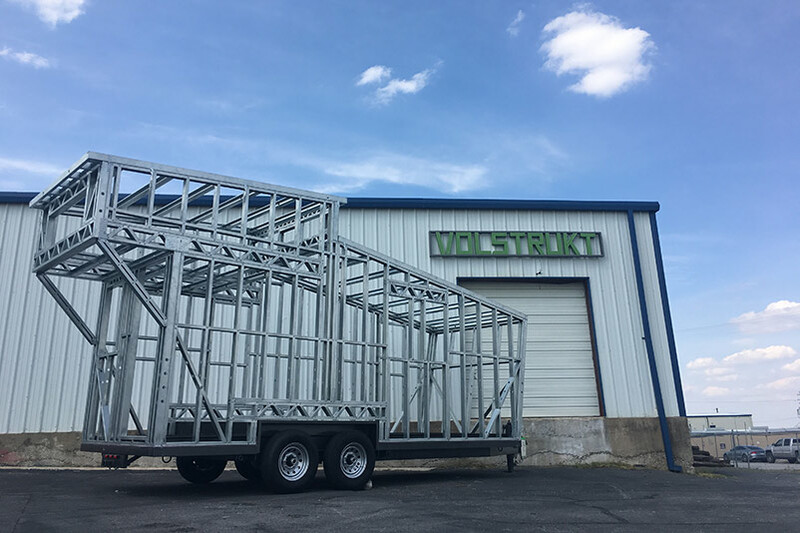 Our lightweight steel framing kits for food trailers and retail shops on wheels make it easy for your builder to frame your design to spec in a day or so, leaving less room for error and more room for creativity. Steel that is surprisingly agile. CAD engineering linked with cold-rolled steel production creates lightweight steel framing that offers design flexibility with structural rigidity. A steel framed tiny house is 40% - 60% lighter than wood. No mold, no termites, no VOC's and no off-gassing within the home. Steel frame assembly is fast and erected on site in less than a day. CAD Design & Manufacturing reduces the amount and cost of specialized labor. Steel has the highest strength to weight ratio. Galvanized steel is fire and damp resistant and will not rust. Engineered CAD design and factory assembly to precise tolerances. 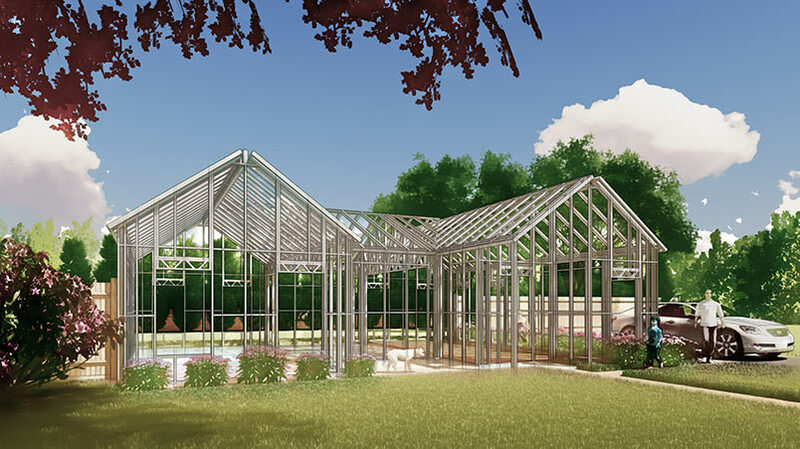 Residential builders, civic charities, retail shops, resellers and DIY homebuilders can all use our ICC-compliant steel frame kits to build their businesses and their homes. Here are a few of our partners. I have really been pleased that I switched to metal framing versus wood. There are a lot of benefits, the biggest one being weight on a tiny house. It was good to work with Marc and Jayson, using the engineer on finalizing structure. Especially, since I had designed something that they hadn't attempted yet. Everyone who has seen my framing is amazed and many people are thinking of switching to metal framing from wood. I have nothing but great things to say about Volstrukt! I ended up traveling to Austin TX and meeting the Volstrukt team to work with them on my design. Marc McQuain and Jayson Laipenieks were really welcoming and thorough when describing the process of manufacturing steel framing. They were passionate about their product, and spent extensive time with me finalizing my design. Marc and Jayson feel connected to the tiny house movement and want to offer framing with structural integrity. These two are terrific and offer a product that's truly changing the tiny house movement for the better! Doing your tiny house research? Writing the book on tiny houses. We helped write the book on the tiny house movement. Literally. 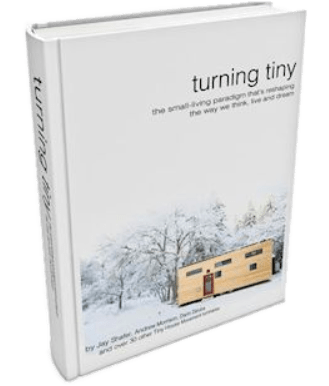 Co-Founder Marc McQuain contributed to 'Turning Tiny - The Small Living Paradigm', a book chronicling the move to tiny living. Turning Tiny is a collection of stories from some of the most renowned tiny house thought leaders and luminaries. Over sixty celebrants and leaders of the Tiny House Movement have come together to embody the spirit of human scale living in one amazing book.